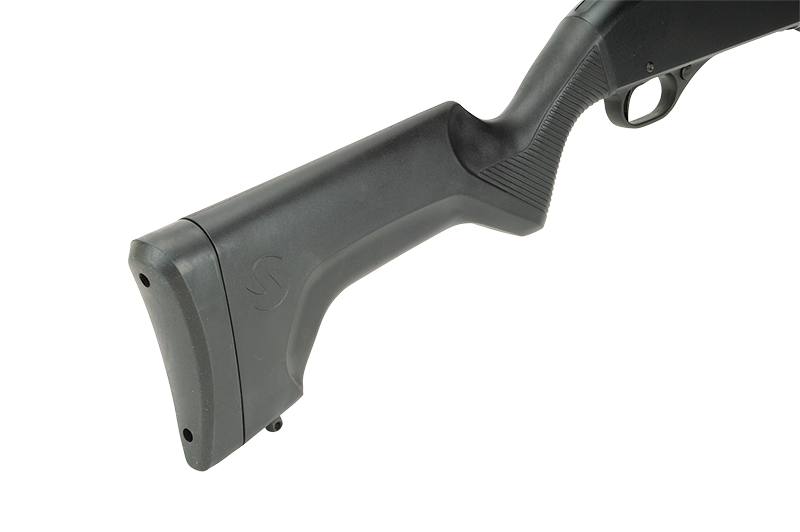 Take on any tactical situation with a shotgun built specifically for the task. This 320 Security model combines an 18.5-inch barrel, bead sights and a black matte synthetic stock. Like all 320 shotguns, it features a smooth, reliable pump action, proven rotary bolt and dual slide-bars.